Publisher: Wm. S. Orr & Co, Amen Corner, Paternoster Row, London, 1849 (MDCCCXLIX), a new edition, carefully revised,803pp, large hardcover quarto, 45 chapters, Frontisp. Condition:Worn cloth-bound hardcover with spine and corners in brown leather, with gilt banded title to spine, STRAIGHT & TIGHT in GOOD MINUS CONDITION with names in pen to the front endpaper, moisture mark to the base of the ROBUST PAGES, fox spots to prelims. 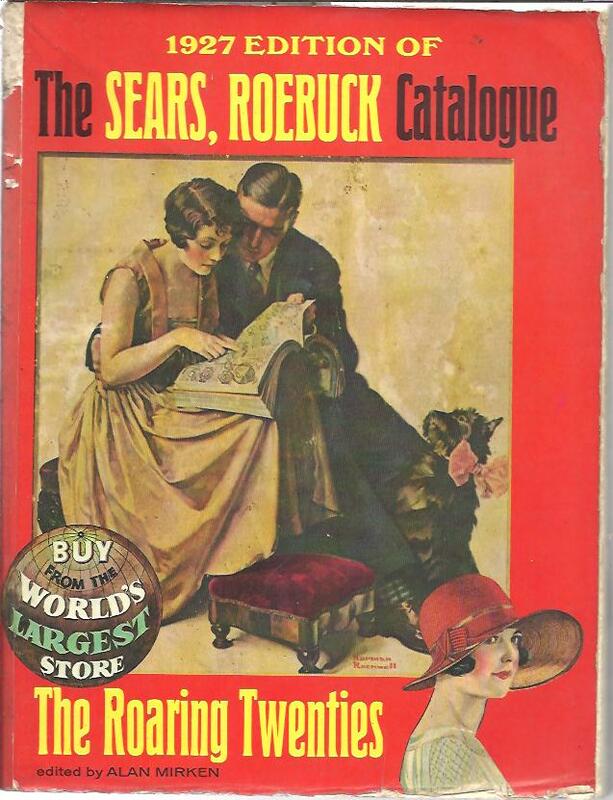 Title: 1927 EDITION OF The SEARS, ROEBUCK Catalogue in Facsimile. "The ROARING TWENTIES"
Publisher: Bounty Books, Crown Publishers, U.S., Facsimile ed. 1970, softcover quarto, 1091pp., plus 10 pages Fashion Review, B/W ILLUSTRATIONS throughout, Department INDEX. Condition:Illustrated softcover with title to spine & frcvr, rubbing to spine, corners & edges, small piece rubbed off top spine, no inscriptions, CLEAN & TIGHT in FAIR CONDITION, signs of insect damage to edges of title page and next page, some marks to outside. Description: The World's Largest Store on Chicago's West Side was completed in 1906. An excellent reproduction of these rare catalogues. Yes ! we combine items to save postage ! 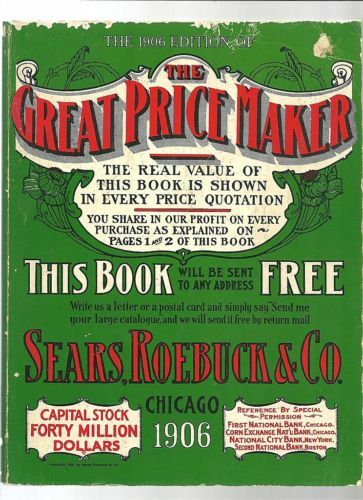 Author: original by Sears Roebuck & co. Publisher: Castle Books, N.J., Facsimile ed. not dated, softcover quarto, 1412pp., B/W ILLUSTRATIONS throughout, Departments, INDEX. Condition:Illustrated softcover with title to spine & frcvr, rubbing to spine, corners & edges, no inscriptions, CLEAN & TIGHT in FAIR-GOOD CONDITION, age-toning to pages. Description: The World's Largest Store on Chicago's West Side was completed in 1906. An excellent reproduction of these scarce catalogues. Description: Carthage was founded on the Gulf of Tunis by some Tyrian nobles in B.C. 872, just a century before the date of the founding of Rome. Description: P. Vergilius Maro was born Oct. 15, B.C.70, five years before Horace and sevben before C. Octavius, who later, under the names of Octavian and Augustus, was destined to become his great patron. Description: P. Vergilius Maro was born Oct. 15, B.C. 70, five years before Horace and seven before C. Octavius, who later, under the names of Octavian and Augustus, was destined to become his great patron. Description: Edited with Introduction, Notes & Vocabulary for the Use of Schools by T. E. Page. Q. Horatius Flaccus was born on Dec. 8th B.C. 65 - five years after Virgil and two years before C. Octavius who subsequently became the emperor Augustus. Description: Latin School Texts and this issue has been modified and simplified by Mr Modlen to make Tacitus's account of the Roman Conquest suitable for a Fourth Form Reading book.